I hope you enjoyed your Thanksgiving week! As we approach December may we all continue to feel an attitude of gratitude each day! I am always trying to perfect my cookie recipes! 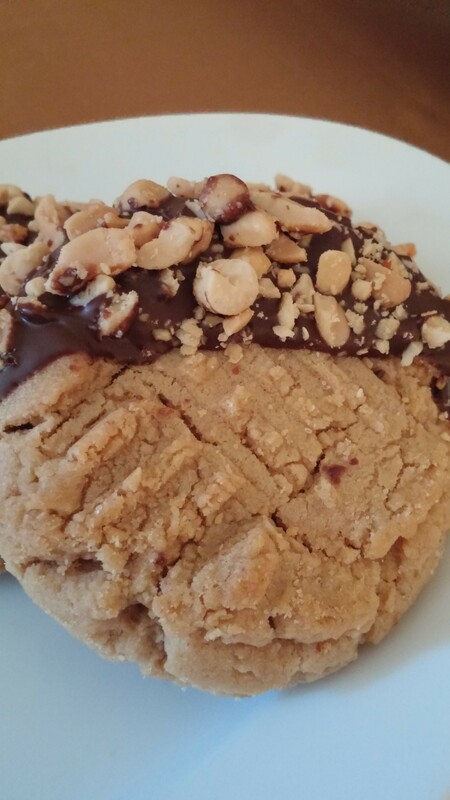 I was recently looking for a bakery style peanut butter cookie recipe and found the most incredible recipe! 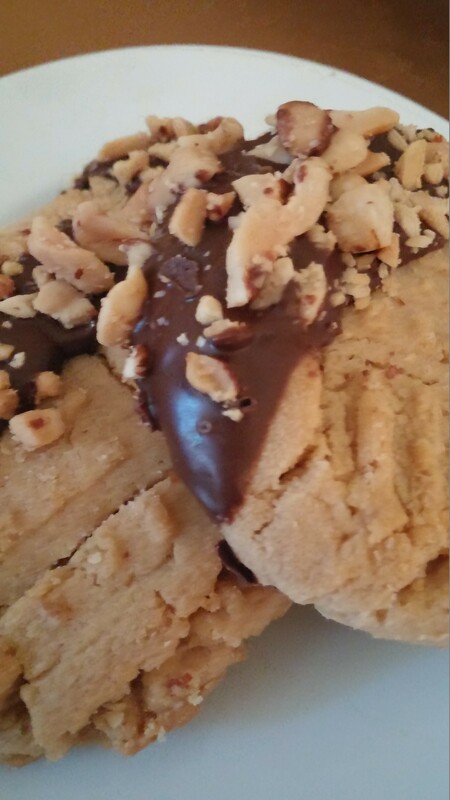 I created this decadence cookie idea and felt it needed to start with a great recipe! I used the XL Bakery Style Peanut Butter Cookie from Crazy for Crust with a few slight adjustments. 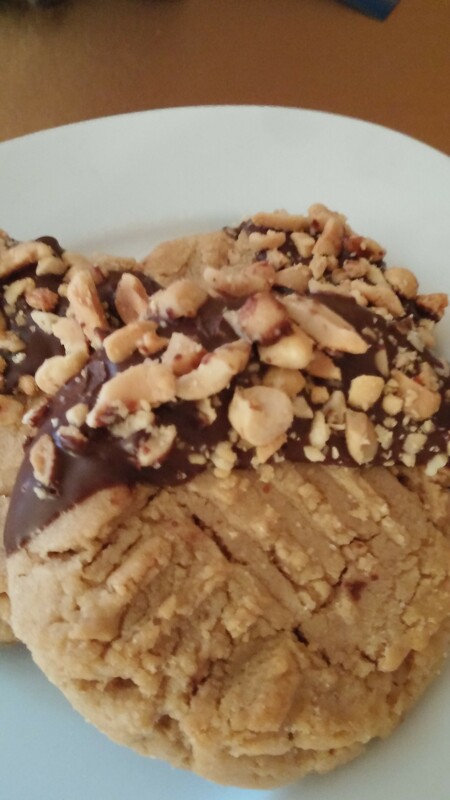 This cookie has been a huge hit! Maybe you will want to add it to your holiday baking! ENJOY! Cream butter, peanut butter, and both sugars, until smooth. Add egg, vanilla, milk, baking soda, and salt and mix thoroughly. Gradually add flour and mix until dough comes together. Using a large cookie scoop, place cookie balls on a parchment lined baking sheet. Press slightly with your hand. Place in the freezer for 10 minutes. Bake in a 350 degree oven for 12 to 15 minutes, until they start to brown. Remove from the oven and let cool for 5 minutes on the baking sheet, then remove to wire rack. let cool completely. Once completely cooled, melt your chocolate, dip the edge of the cookie in the chocolate and sprinkle with chopped peanuts. Allow the chocolate to harden and store in an airtight container! These make wonderful gifts!